Boondocking is the term RVer’s use to describe a situation when they are camping without any hook ups to electric, water, or sewer. It is not unusual to have only a hook up to electric, or electric and water, but boondocking, especially for an extended period of time takes some special preparation and equipment. Boondocking may be in a campground that has no hookups or you can be a true boondocker and just find a vacant piece of land in a national or state forest or on land operated by the Bureau of Land Management (BLM). 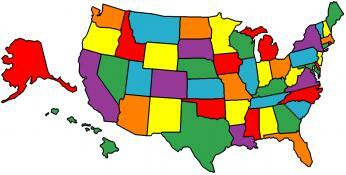 If there is no post to plug into, then you have to provide your own and that means a generator. Just any generator won’t do. 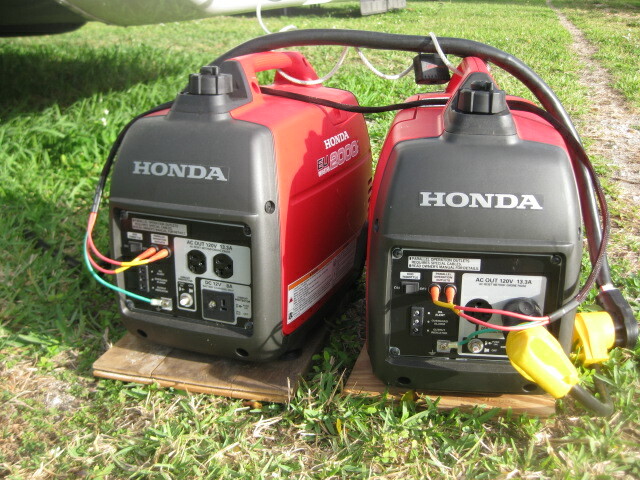 Commercial generators like you buy in a hardware store for powering tools are generally too noisy for campground use. 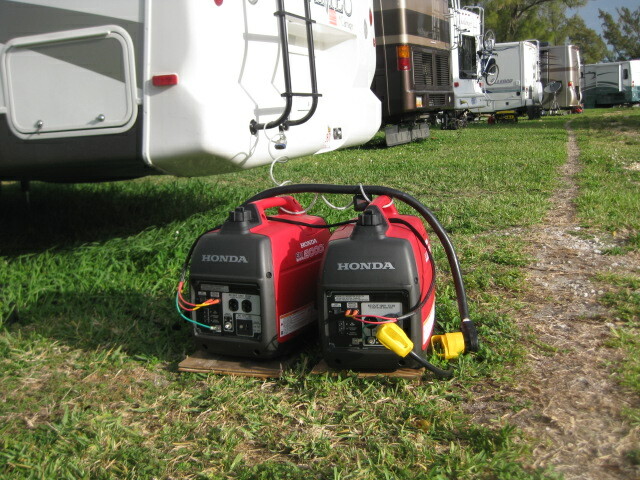 We purchased two Honda 2 kilowatt generators from Camping World that could be run in tandem for 4 kilowatts of power. For normal operations, one generator is sufficient. Each one will produce power for a 15 amp circuit (or your normal house plug), but if you plan to run a microwave oven on full power, or an air conditioner which are on 20 amp circuit then you need to run the generators in tandem. Camping World will also sell you the parallel cable and RV adapter. 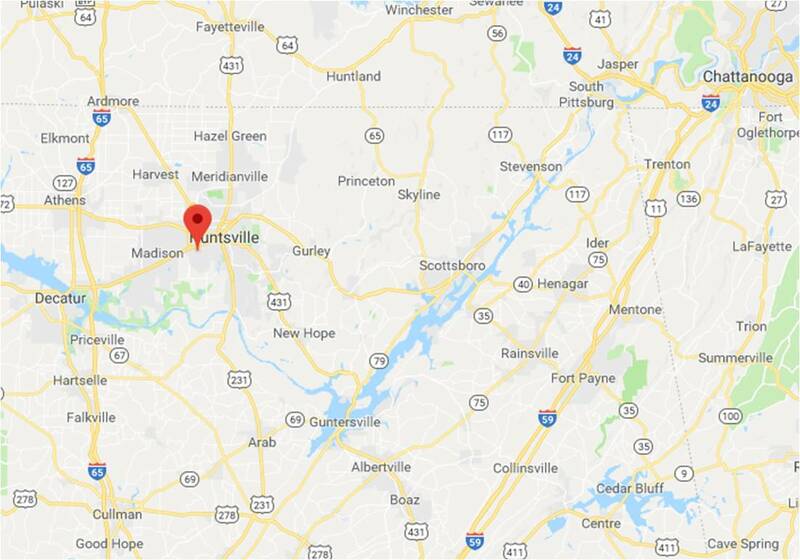 You don’t run the generators all day long, but just when you need them to run appliances or the charge your 12 volt battery that only run your lights and specific 12 volt DC fixtures. True boondockers will use solar panels to recharge their batteries and run the electrical equipment in their rig. Small ones that will recharge a 12-voly car battery during the day can be purchased for less than $100, but if you plan to do more than use lights you will need a more powerful system. Obviously you don’t want to use more electricity than necessary, this allows your battery charge to last longer and allows you to run your generator less frequently. Some good ideas are to change the setting on your refrigerator from “Auto” to “LP.” This will keep the refrigerator from constantly trying to go to electrical power and run down your battery charge. Obviously use as few lights as possible. If you don’t want to incur the expense of converting all of your lights to LED, you may want to convert the ones you use most frequently. Use your laptops on battery mode until they need to charge then charge them while you are running your generators already. Your laptops and other such devices use fewer amps to charge than they do to run. If you’re like me and need your coffee every day, I use a french press to make coffee while boondocking, rather than the electric coffee maker. Normally if you stay in a campground for a few days, you can dump your black water (toilet) and grey water (sink & shower) waste tanks at a dumping station on your way out of the park. However, if you are boondocking for an extended period you normally don’t want to hitch up your trailer and set up all over again. We bought a portable waste tank, often called a “blue boy” because most of them are blue, although ours is grey and Bob calls it the “honey wagon.” You dump your waste tanks into the honey wagon, tow it with your pick up to the dumping station. It takes Bob 2-3 trips for each tank, first black water then grey so the grey water would flush all the black water waste out of the honey wagon. 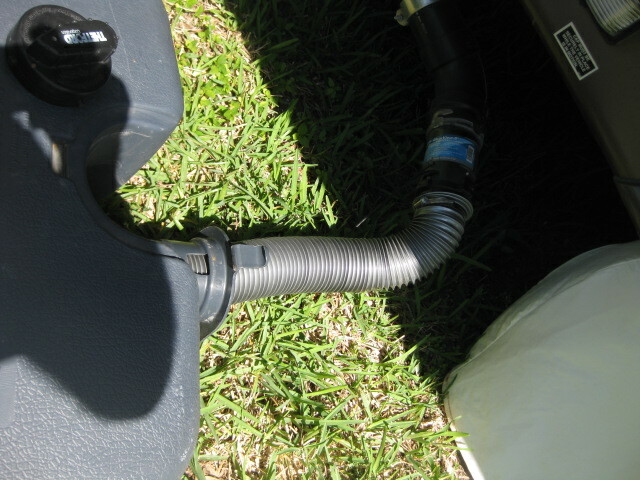 It’s a good idea to add a clear section on your waste line to see when dumping the waste tank is finished. You should NEVER dump grey water on the ground. 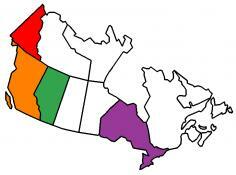 All waste should be disposed of at authorized dump stations. You can fill your fresh water tank when you arrive at a campground, but over an extended stay it will have to be refilled. Unless you intend to hitch back up and pull your trailer to the potable water faucet you will have to have another way. Some people use five-gallon cans or buckets that they left up to pour into the fresh water tank. However, that takes a lot of effort and physical strength to do so. We purchased a 45-gallon bladder from Camping World. 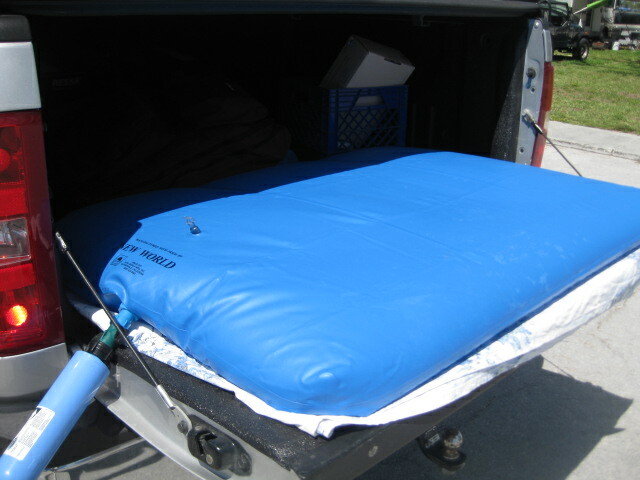 The instructions said you can put it on the top of your truck cab and use gravity, but we were reluctant to put 350 pounds of water on the roof of the our truck, and didn’t want to take the chance of it sliding off while we were driving back to the trailer. 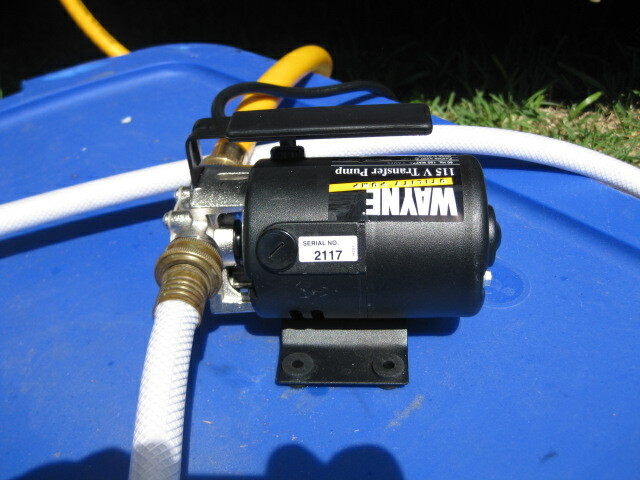 We purchased a 1/10 horsepower water transfer pump from Home Depot. 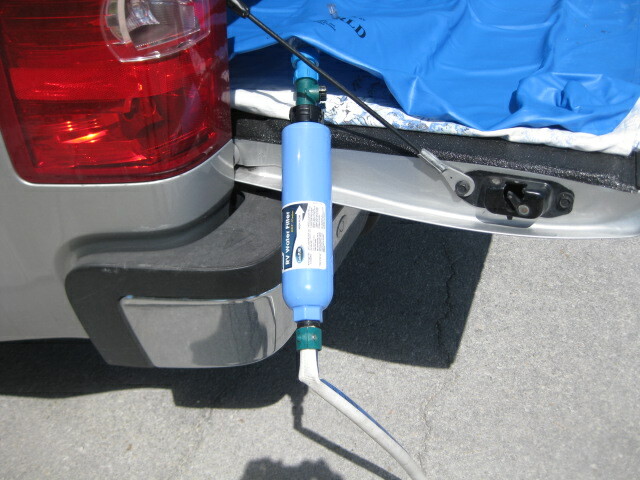 With the pump we can put the bladder in the bed of our pickup and then pump it into the fresh water tank of the trailer. Our trailer has a water filtration system, but the fresh water tank bypasses this system. 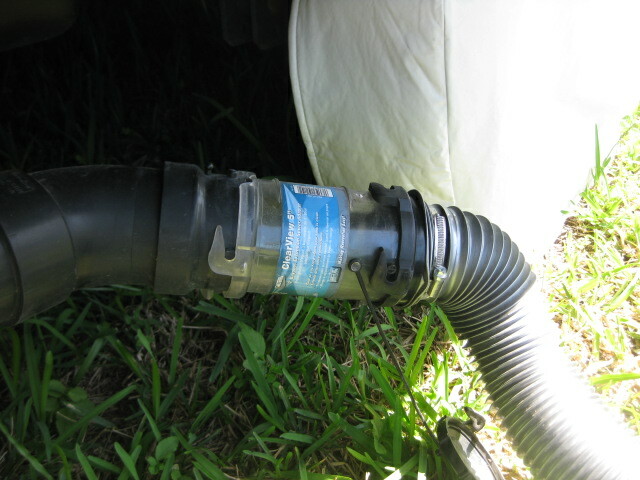 Because of that we put a filter on the hose we use to fill the 45-gallon bladder to make sure we have clean water in the fresh water tank. Obviously you want your supply of water to last as long as possible so you are not making water runs all the time, plus the more water your use, the faster your waste tanks fill up. If you are running water from your hot water tank, run the cooler water into a container which you can use for other uses like drinking, brushing teeth, hand washing, etc. until you get hot water. The same thing for running water in the shower. Every RV I had ever seen has a switch that allows you to turn off the water without changing the setting for hot/cold. Only run the water to get wet and to rinse. 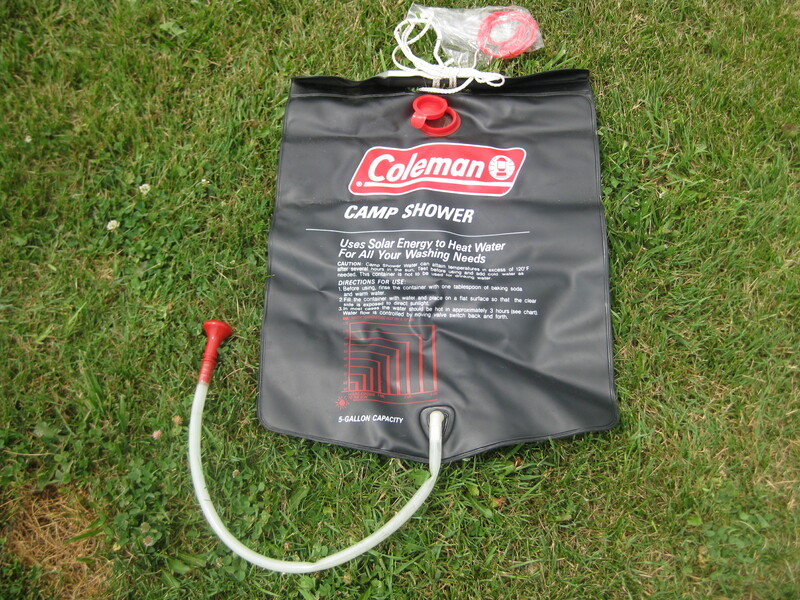 You can also shower outside using a “solar shower” that you can purchase at most camping stores. Fill the solar shower with water (like the water you saved while waiting for the hot water to flow), lay it in the sun (black side down). Then hang it from a tree or your RV ladder and enjoy a shower in the fresh air. You can build a shower shelter or just shower in your bathing suit. You can save water from dishwashing and use it when flushing the toilet, just turn off the pump before you flush. Really enjoyed you last post. 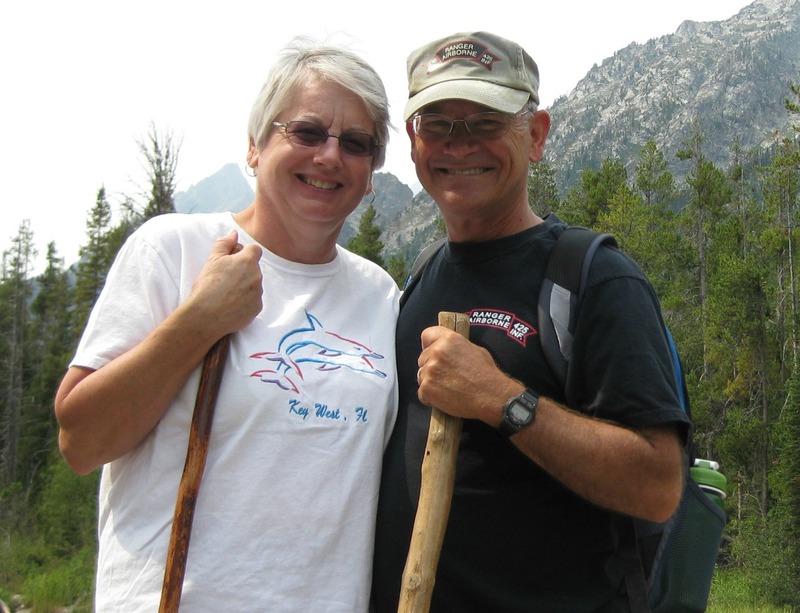 We were in Key West for a couple of day @ 10 years ago. Envy your month & a half there. Been nice in MI but no scuba or snorkeling yet. Hope your Everglades experience goes well. I don’t recomend snorkeling or scuba there, though, unless you’re into wrestling alligators.